At Imbolc we loose the shackles of dark Samhain. It's the time when the seed splits it's shell and starts on it's new journey. Imbolg, Imbolc, (usually explained that the g is modern Irish and the c the ancient language), is a cross quarter day, mid way between the Winter [Samhain] Solstice and the Spring [Imbolc ] Equinox. The name Imbolc translates to the belly/womb and hints at pregnancy reminding us that there is a lot of invisible work happening under the surface. It is often described as according to the Modern Calendar: 1st February and Ancient Calendar around 4th Feb, depending on the moon. In the same time frame we have Oimelc (Ewes milk), St. Brigit’s day, Candlemas (the Presentation of Christ), St. Blaise’s Day (Patron of sore throats), Groundhog day in North America, the Feast of the Purification of the Virgin and when the sun arrives in the mid point of Aquarius (15°). 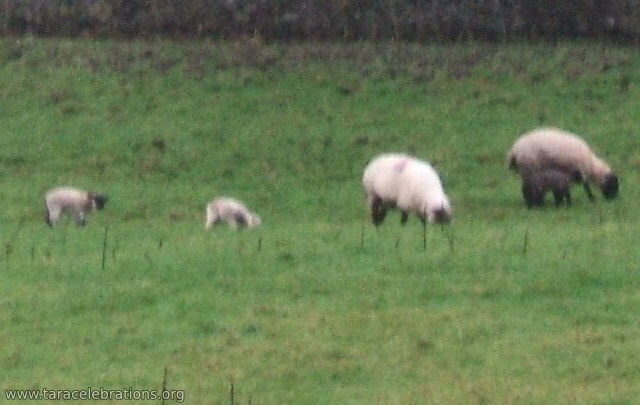 It is a time of the year which is, in Ireland, oppressively cold and damp. Nature seems barren and almost lifeless. Livestock are still housed indoors and the fields are unproductive. But this is an important doorway into the more comfortable fertile part of the year, through which we must pass. Up until now the Goddess of the Land is personified by the Cailleach who holds close association with the fierce Morrigan, phantom queen, goddess of war, and Macha, goddess of death. However, it is at this time, passing through the door of Imbolc, that the natural world is reborn out of darkness and death. Winter is over. 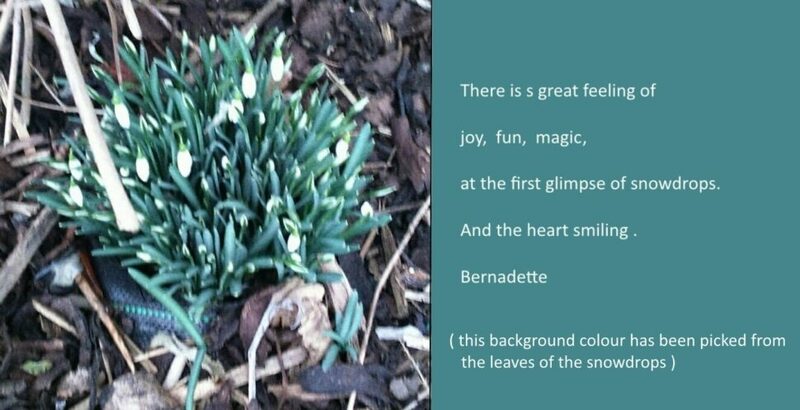 The Snowdrop, also referred to as Brigit’s flower, associated with the Feast of the Purification of the Virgin Mary, shoots forth in defiance of the harsh conditions and is a landmark victory over the end of winter. In Ireland it is generally considered the first flower to appear after the winter has passed. Appearing around St. Brigit’s day has given it close association with hope, strength and fortitude. This timid little flower is the first to poke it's head above the ground and proclaim the important news that winter has passed. Although sometimes considered unlucky to bring inside as it typically is found in grave yards, it is not out of place on a Brigit's altar. While it is still cold the days are beginning to noticeably lengthen and with the lengthening days will come the higher temperatures and mild weather encouraging growth in the fields. Attention is drawn towards the plants and animals which are active at this time of the year. Frogs are a good totem animal representing the energy at this time of year. They appear suddenly from nowhere, croaking loudly, laying spawn, moving between the water and the land (liminal aspects and suggestive of mediumship), and they have the ability to change their skin colour and jump on land and swim in water. It is an animal that reminds us to wake up and jump from one level of consciousness to another and to adapt to our constantly changing surroundings. There is lore which states frogs can predict the summer weather by the position of their spawning clumps. 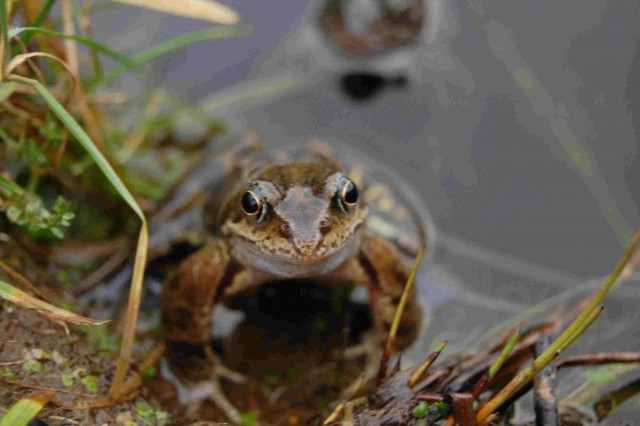 If the clumps are found in deep water the frogs are expecting a dry summer so move to deeper water to ensure supplies for the tadpoles. If they expect wet weather they will spawn close to the edge of the pool ! Their spawn is a very obvious sign of spring and its appearance reminds us to be preparing for new growth in the future. We utilise the underlying energy of Imbolc to start new projects, receive fresh insights and choose where and how we want to be growing. At this time Brigid reminds us to nurture our plans, heal what is weak, warm what is cold and light that which is dark. Our Neolithic ancestors were obviously acutely aware of this time of the year, as were the Celts and the later settlers on the Island, each seeming to adopt some of the traditions and beliefs of the previous culture. In county Meath there are two important Neolithic solar alignments to Imbolc. Firstly, on the Hill of Tara, the Mound of the Hostages a Neolithic passage grave has an entrance directed towards the sunrise on the 8th November and the 4th February, the start and end of winter respectively. As the sun rises it squarely illuminates the back stone of the chamber for about a week. The stone engravings are illuminated, not by the sun beam directly, but it's diffuse reflection from the back stone. 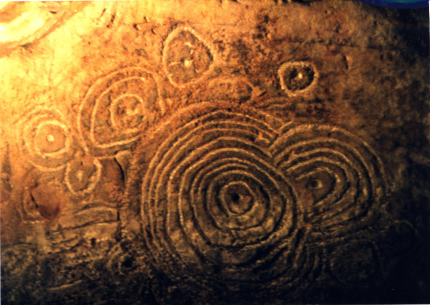 Samhain illuminated stone from Cairn L in Loughcrew oriented to the same sunrise as the Mound of the Hostages on Tara and of a similar design. Simultaneously in Cairn L on Cairnbane West, Loughcrew, the sun is shining into the monument to perform what can only be described as a carefully choreographed ballet. At the instant of sunrise the first rays of light are focused on a free standing white pillar stone and nothing else. 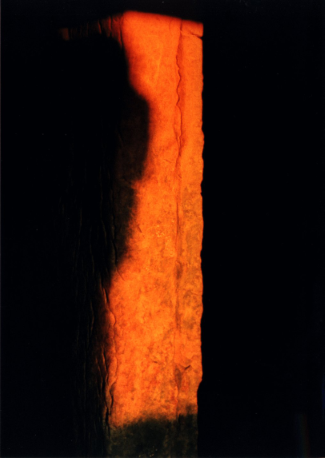 The light is seen to visibly move from top to bottom in a matter of seconds and then swing from left to right where it is then focused onto a “mirror” stone which throws the diffuse sunlight into a dark recess illuminating one of the most accomplished pieces of Neolithic art in the world. This is the only time when the carvings can be seen without the aid of a torch. All the fine detail being revealed in a very dramatic and stunning way. The sunlight then falls on an angled stone and again within a matter of seconds is seen to shrink and disappear as the sun moves higher in the sky outside the chamber. Curiously the central motif on the Mound of the Hostages stone and the Cairn L stone are remarkably similar , sharing nested concentric circles. Blúiríní Béaloidis 18 - Brigid In Folk Tradition - There is still love and devotion in Ireland for St Brigid... But this programme goes deeper into the pre-Christian origins as far as India to discover the roots of the legends, and then brings everything up to date. Click here to listen to this wonderful discussion. Camille shares her experience of Mardi Gras in Louisiana, USA, in a wonderfully information article. Click here to read it. Anne considers other traditions and festivals at this time of year in her Other Notable Dates and Festivals series.... click here to link into these.